Steve Carlton was elected to the Baseball Hall of Fame in 1994. He was affectionately known to Philadelphia fans as "Lefty". He played the most number of years for the Philadelphia Phillies, receiving his greatest acclaim as a professional and winning four Cy Young Awards. 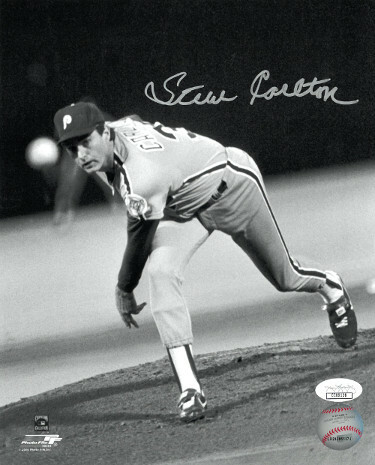 Steve Carlton hand autographed Philadelphia Phillies 8x10 Photo . JSA Hologram and Certificate of Authenticity.